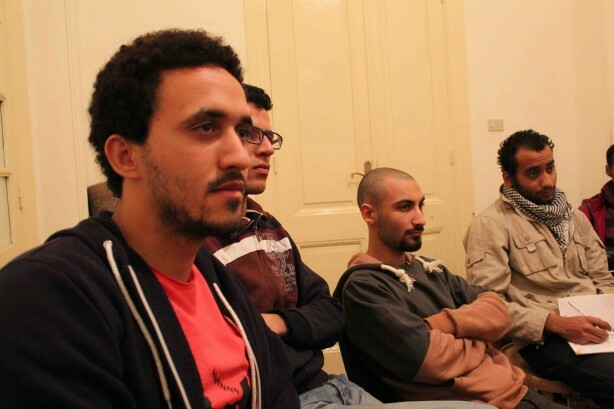 Our trainees during Jonathan Rashad's Intro to Photojournalism course. TransterraMedia‘s Wail Gzoly and Randa Abo Eldahab gave a training session about intro to video journalism to the Egypt Journalism Club trainees. Randa started by sharing a video on interviewing techniques from IJNET. You can watch the video (in Arabic) by clicking here or watching it below. 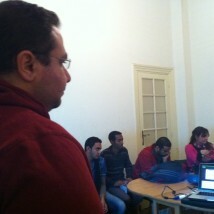 Photojournalist Jonathan Rashad also gave a training session on photojournalism in Egypt. Below are some of his tips, embedded in a Storify story.